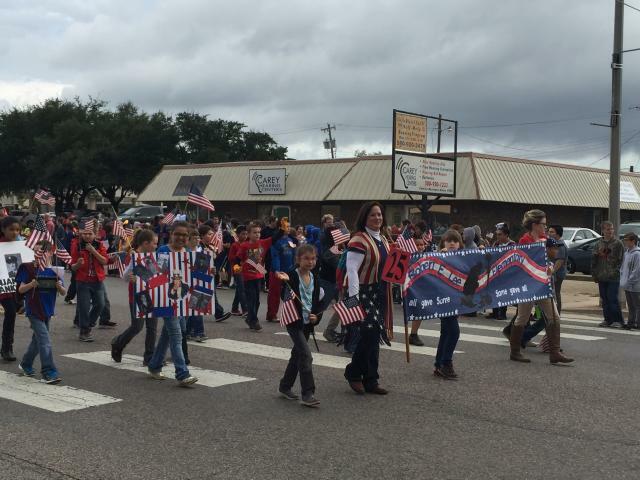 ***Parade Notice*** The Bryan County VFW Post 3916 has announced the 2018 Veterans Day Parade is canceled due to weather. The Ceremony will still take place at the VFW at 9:30 a.m.
Join us to honor our Veterans at the 2018 Veterans Day Parade on Monday, November 12! The Parade begins at 9:30 a.m. on Main Street in Durant and the theme is “Covering Your 6 Since 1776”. A Veterans Day Ceremony at the VFW (123 S 2nd Ave) will immediately follow the Parade and lunch will be available for Veterans at Brown's Funeral Service in Durant. Entry forms available at Durant Area Chamber of Commerce at 215 N 4th Ave. or download a form below. Deadline for judging is Wednesday, November 7.